What is an “adaptive enterprise”? The adaptive enterprise is an organization that is good at adapting to its environment. What we see is that the business environment is changing ever faster. New technology is one driver, and there are other types of drivers, such as regulatory compliance. What’s more and more important is that an organization is quick at adapting to its circumstances. It’s a bit inspired by Darwin, who said that the species that survive are not the smartest ones or the strongest ones, but the ones that are best at adapting to their environment. Peter Mathijssen, our CTO and I have written an eBook about this topic and why it’s important. Why is it important for enterprises to become more adaptive in order to facilitate digital transformation? Just looking at the life span of companies in the S&P 500, you see that it’s gone down over the years. Companies live shorter and shorter lives because they disappear as the competitive pressure is high. In certain markets, based on technology, you also have the “network effect.” If you’re the first to market, if you’re Facebook or a similar kind of company, you can capture most of that market because this network effect favors the first company that can achieve critical mass. So it’s very important to be first to the market. If you’re slow, you’re just going to disappear. The speed of change has become a more important driver than, say, cost. And with digital transformation, adopting new technologies is an important driver for companies these days—in customer experience, in data analysis, in all sorts of areas—and that may imply deep changes to how a company operates. Being able to change is now a core capability, and that’s what the adaptive enterprise is about. You mentioned “network effects.” What is that and how does it give an organization an advantage? The basic idea of network effects is that the value of what you do increases with the number of people who are connected to your network. It goes back to things like the telephone network—the value of the telephone network is based on the number of people you can call, so the one that creates the largest network first has a big advantage. What you see is that people flock to the network that offers the most value, has the most connections, and that grows exponentially. If you’re the first to market and grow the quickest, people will come to your network because they can get the most value there because that network will have the largest number of potential connections. Due to this exponential effect, in the markets that have these network effects, there’s usually one winner that captures most of that market. That’s what you saw in telephony, and you see it now with social networks—there are a few large winners. You also see it with search—the companies that have the most data and have the best answers for search, people go there and add more data. Then you have a cumulative effect of being the first to market and you have the data, build the largest network and attract more people, which allow you to build bigger databases and bigger networks. That’s what the network effect is all about. You certainly see that in technology driven markets now. Companies have always had to change to some extent—why is that so much more important now? It’s mainly because of the pace of change—it’s going faster and faster. If you look at the pace of change in technology, the speed at which digital technology changes is much faster than in the world of physical technology. Building a railway network, for example, takes a lot of effort and takes a long time. But building software is something that’s much faster and evolves much quicker. This pace of technology that drives organizations to change much faster is one part of it, and the second part is globalization. Global competition with more and more competitors—it’s not just your local market, but it’s the entire world that can compete with you today. That also drives change and forces you to compete faster and be smarter. I think these two factors—technology and globalization—really drive the speed of change. Where does change management fit in to the adaptive enterprise? Increasingly, being good at change is a core capability of organizations. Not just running your business, but also being able to change your day-to-day business just to keep up with environmental changes and be ahead of others in driving changes in the market. So change management as a discipline and capability is increasingly important. How can companies adapt and change and fight those forces of inertia and necessary processes that often come with getting larger? That’s not easy. As my colleague Peter Matthijssen says, ‘Large organizations don’t need any customers, they can be busy enough with themselves.’ That can be a problem. Large technology companies that are successful and scaling well have an organizational structure that creates relatively independent parts of the organization. These parts can move on their own–sort of an autonomous business unit that can more easily make local changes, rather than having to go through a big hierarchy. That’s also part of our vision of change. It’s hierarchy and bureaucracy that are really in the way. What you need to do in large organizations is allow people to make local changes by providing them with the right information to do that. If you don’t know what’s happening in the organization, or what would happen if people make changes, then what people tend to do is go to their manager and say, ‘Well, I don’t know what’s going to happen, you decide’. And then the manager says, ‘I don’t know what’s going to happen’ and they go to their manager until you reach a level where people are allowed to decide based on gut feeling, which is not a good thing. If you have the right information lower down in the organization and if your organization structure is sufficiently flexible to allow this local, independent movement, then you can be a big organization and be adaptive at the same time. I think technology companies are relatively good at that, but some of your classical, bureaucratic, information-intensive organizations, like in the financial services industry or government, they may not be as good at delegating authority, and they find it quite difficult to adapt. Why is digitizing your change capabilities an essential part of becoming an adaptive enterprise, and how do you go about digitizing change? Change management usually tends to be more about people than technology. 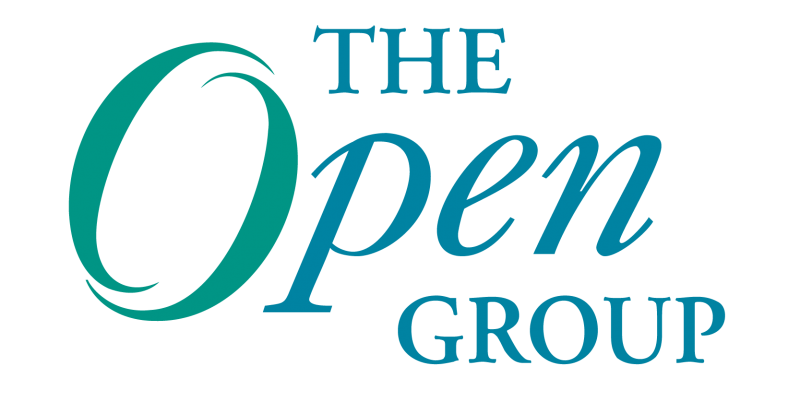 The Open Group and a number of organizations, including ours, did a survey a number of years ago about business transformation and what the obstacles were. One of the questions was whether people saw the future use of software in change. In cultural change, people don’t see much of a role for software, at least not as large as in other areas. But you have to provide people with the right information to make decisions on changes. And in transformation, the more accurate the information you have, the better decisions you can make and the faster you can change. You don’t have to go through a hierarchical process, you can go through that in a more local way. That’s one aspect. The second one is having the information at your fingertips and also seeing the effects of what’s going to happen if you want to make a change before you do the actual change. That’s where we come in with our background in architecture, using various models to assess the impact of changes before you implement them. That may speed up change a lot because you have more security about what’s going to happen and what the effects are. You don’t have to roll back changes because they turn out differently from what you expected. Of course, we can’t completely predict the future, but having this model-based view of the world like other disciplines also have helps. In building, construction and engineering, they’ve created models to predict what will happen. We need to do that with our enterprises, as well. That’s where architecture and architectural tools come in because for large enterprises you can’t do this with pen and paper, it’s much too complicated. That’s where the digitization of change comes in. It’s not digitizing cultural change. (Although I do think business technology does play a part in that, like using social networks within a company to collaborate and communicate on change). It’s understanding how your enterprise operates, having a better view of what will happen once you change something, having better analysis capabilities for your enterprise. And that can be all kinds of aspects—financial, risk, technology aspects. Just digitizing that and having a better digital view of how your enterprise functions or might function in the future, that will really help change. I think it’s strange that companies that put a lot of effort in the digitization of their core business still try to do that kind of change with outdated tools. If your core business is going to be digital and then you use old-fashioned approaches to implement those changes, that’s certainly not the way to go. That sounds like a lot of predictive analytics and data science. How does the Enterprise Architecture fit in with the concept of the adaptive enterprise and the need to do that predictive analysis? I think the most important role for Enterprise Architecture in this perspective is that it shows you how the different bits fit together. It shows you the big picture of the enterprise. Enterprise Architecture shows you what capabilities you need to develop or improve to support your business goals, how your business processes use your technology, how they serve their customers, all sorts of aspects that are linked together. Then you can see, for example, what is the contribution of a certain initiative to the IT landscape that I’m creating for the processes that rely on, the services I provide to my customer, or the business goals and outcomes I want to achieve. You have this full traceability that, for example, helps you prioritize investments in change. You can determine what projects to do because they really contribute to the business goals, and not just because it’s a hobby of one of the managers. All these cross-cutting analyses across the enterprise help you with better decision-making and better planning. In the end, it’s all about what they call ‘capital allocation.’ Where am I going to put my money? Where am I investing? What I’m I going to do? What do I prioritize? Enterprise Architecture really helps you in that. It’s also the starting point for more detailed analyses of your processes, applications and infrastructure. Enterprise Architecture can really tie these all together—it’s really about the big picture, the coherence between all these different bits and how they move. How can standards be used to facilitate more adaptive enterprises? Of course you can use standards at all kinds of levels. Take the ArchiMate® Modeling Language, for example. That’s a standard that fits in to an Enterprise Architecture picture. But there are also standards at a more operational level—if you want to have these independent business capabilities that can easily work together in a plug-and-play way, you also have to have standards for that. How do these things fit together? How do you easily exchange information between different parts of the organization? Well, you use a standard for that if possible. Standards play a part in all kinds of areas, from communicating among people and using the same vocabulary to technology standards for connecting IT systems. The TOGAF® standard can be useful to help architects use the same language. ArchiMate® models are a way of exchanging descriptions of the enterprise at an architectural level, and there are standards for more detailed descriptions as well, such as BPMN for business processes or UML for software design. And at the implementation level, there are standards such as those in the The Open Group Open Platform 3.0™ world or other standards such as the UNIX® APIs. Standards help. They make it easier to fit the building blocks together at all levels of abstraction and avoid confusion about the meaning of terms. You don’t have to discuss endlessly about how you’re going to define the interface between x and y. If you have a standard for that, you just pull that together, and that speeds up change in all sorts of ways. Find out more about Marc on LinkedIn here.